A research spin-off from my core PhD research where I started working with a specific group of users I called the “Kitchen heroes.” They are based on the “Alpha mum” archetype and I tried to further adapt the EPUI methodology while co-designing home appliances with them. My PhD research led me to an unexpected finding about the industry trends, especially in the home automation and home appliances domain. Industry, as well the academia keep forgetting about the huge majority of their users. While researchers focus on edge cases, like the elderly or youth users, the industry seems to focus mostly on early adopters. My research raised the question: What about the late majority? The less tech-savvy users who represent up to 80% of actual customer base when it comes to home appliances. Ethnography. Contextual Inquiry. Future workshops. Critical Design. Explore and participate to be able to understand. 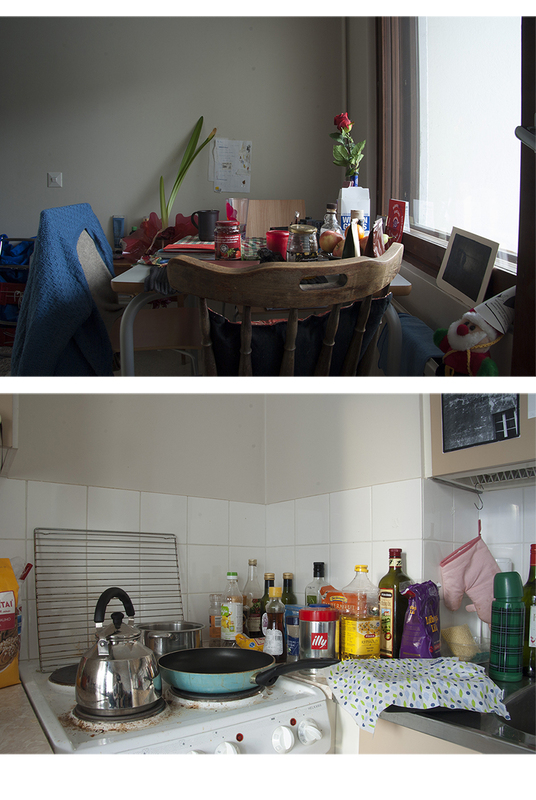 As part of the Explore phase I visited 53 homes in Finland and Slovenia for my Kitchen study. 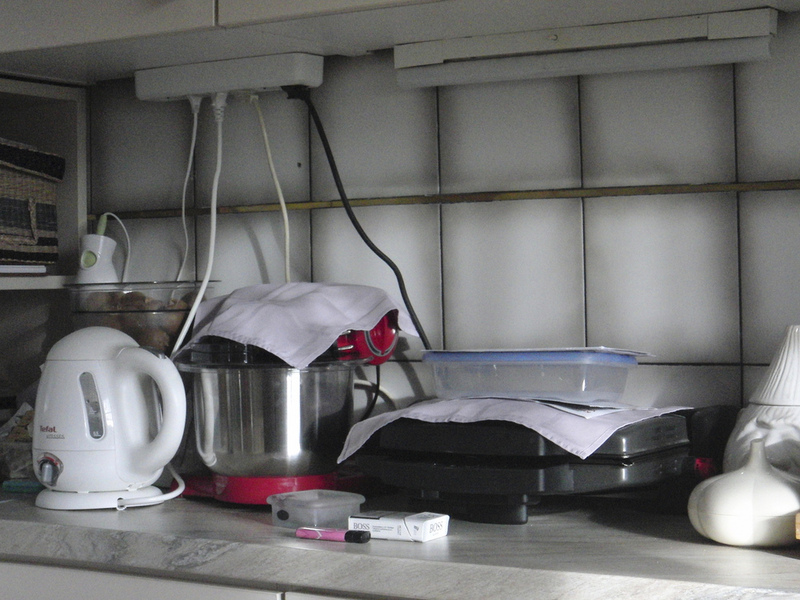 I was interested in how people organise their homes, especially kitchens as the liveliest place in most homes. Part of it was the Fridge study where I took photos of people's fridges. But most importantly, I collected stories while sitting down with people, drinking kava/kahvi/coffee and simply listening. 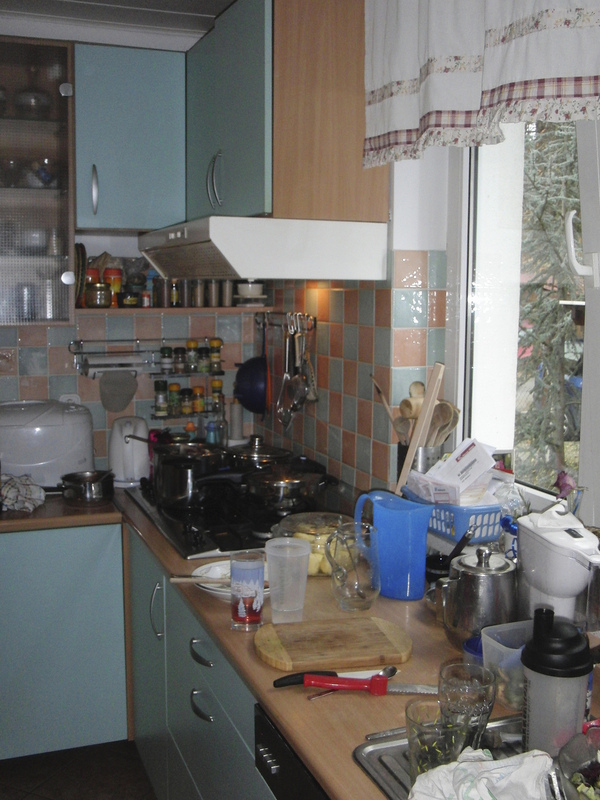 Comparing kitchens in Slovenia and Finland. A part of the Kitchen study was also the so called "Fridge study" where I took photos of peoples' fridges and extracted some interesting insight. User diaries were part of the initial research stage. The EPUI methodology in action. After deep diving into the domain, I became an active participant. This fun phase was followed by the Understand phase where it was time to involve the users. Thanks to our friends at Gorenje Design Studio and later Bosch/Siemens, we got some concrete cases to work on with the Kitchen heroes. Starting with diaries, photo ethnography and simple show & tell. After collecting the user diaries, we invited the user group to meet for the first time. We asked them to bring photos of their home appliances and stuff that annoys them in their home. What I was mostly looking at were the hacks and simple little things that people do to adapt their environment. Each "hero" telling the story behind his/her photos. There were also several cool hacks presented by the heroes. After forming a relationship with the users as well as with the industry stakeholders, and after gaining their trust, I invited the group to start co-creating. The goal of the first participatory workshops was to get insight and start the co-creation process. Users were working together with designers. 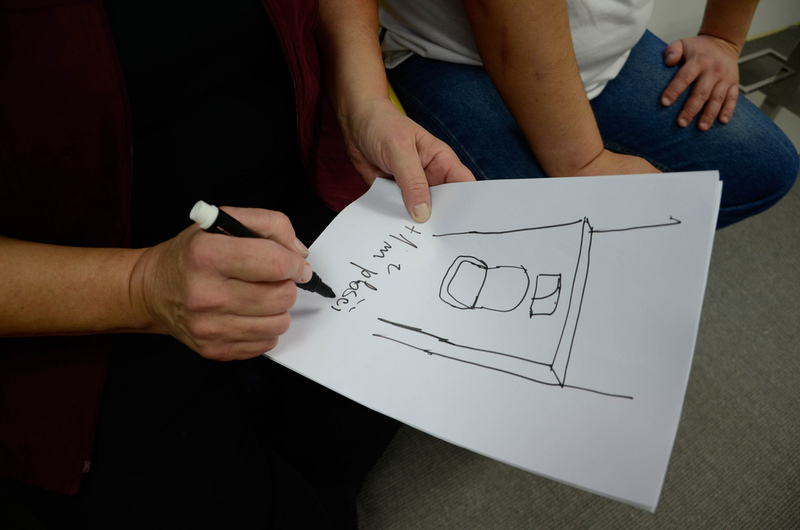 The Kitchen heroes were asked to actively participate in the design process. Not really knowing they are part of the design process. I served as a facilitator while there was an industrial designer who worked with the heroes. "OK, so this is how I did it"
Brainstorming becomes more material. And design begins. Some heroes could as well be innovators. It's crucial to balance the group though. Heroes were asked to help co-design the mockups and get their hands dirty. The 2nd workshop lasted around 4 hours and resulted in a physical protype. The workshops should always end with actionable outcomes and clear next steps. The excitement after the designers showed the actual, 3D printed prototype. After more than a year working with 2 groups of Kitchen Heroes from Slovenia and Finland, I invited them to participate in a set of future design and critical design workshops. The goal was to evaluate the current state-of-the-art and dare to envision the future of kitchen and home appliances. The heroes were asked to tinker about future with the help of paper prototypes. One simple hack, which never crossed my mind. Another simple hack instead of some rocket science engineering. Who needs iPod docks when you could see what stuff to buy. Is this the experience people desire? Apparently not, according to our kitchen heroes.